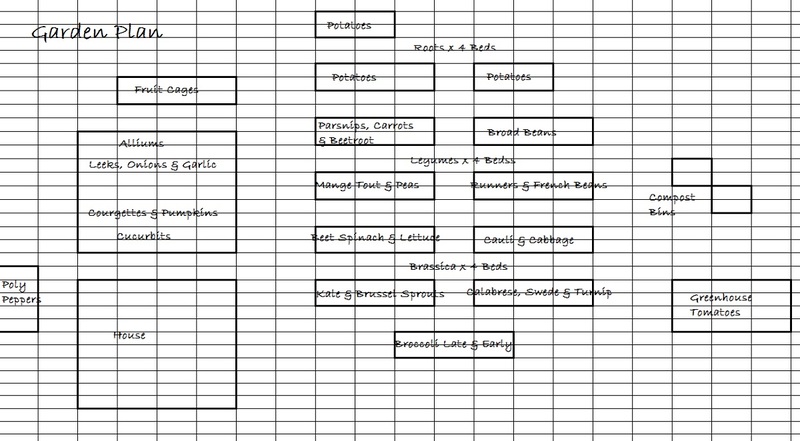 Vegetable garden plans have to include the vegetable groups you are growing, as plants of the same group will need to be grown together, and then moved to another part of the garden the following year. The vegetables we grow have been bred over many years so that the most desirable part of the plant is the most established, plants that are grown for leaves have large or abundant leaves, plants that are grown for fruits develop fruits in numbers or size, and plants that are grown for roots have very swollen root parts. If you have a garden plan or pictures, why not share your vegetable garden plan here and tell us a bit about it. And as each plant puts certain demands on the soil to help it develop its vegetable characteristics, we need to provide certain conditions for each of these groups of plants. Add to this the preferences of certain plants such as cabbages and cauliflowers, which do not grow at all well in acid soils, keeping plant families together will help your harvest yields. Here is a breakdown of each group of vegetables along with a list of commonly grown plants that belong to each group. The root vegetable group, tends to contain plants that grow either under the soil, or partially buried, it includes, potatoes, carrots, parsnips, beetroot and celeriac. How to grow root vegetables. The legume vegetable group contains the podded seed vegetables such as peas, French beans, runner beans, broad beans and mange tout. Growing legumes advice. The brassica vegetable group tend to be large leafy vegetables including cabbages, broccoli, cauliflower, Brussel sprouts and kale, this group also includes turnips and swedes. Tips for Growing brassicas. The allium group are the bulbed vegetables, they include onions, leeks and garlic. How to grow alliums. The cucurbit plants are fruiting vegetables, they include courgettes, cucumbers, marrow, squash and pumpkins. Tips for growing cucurbits. There are of course other vegetable plants that do not fit into any group, such as lettuce and beets, and we tend to add them to a group that is taking up less space, and grow them in that group season after season. Once you have decided what plants you would like to grow, and looked at the space you have, it’s time to estimate how many seedlings you will have to sow or buy. If you are not sure what vegetables you would like to grow, why not do a what to grow study. After you have decided what you would like to grow, it is time to start your vegetable garden plans dividing the vegetable growing part of your garden into distinct and separate groups. Of course, how many groups will depend upon the vegetables you have chosen to grow, bearing in mind that it is acceptable to join groups together, if one or more groups will need less space. Your vegetable garden plans will have to take into consideration how much space any one plant will need, so that you can estimate how many seedlings you will need to fill a bed, for example it would be normal to space cabbages 30cm apart and courgettes a meter. Take a look at the how to grow section of the website for individual vegetable spacing. We divide our garden into four groups combining the cucurbits and the alliums, although we have to take care when prepare the beds for these groups as they do like different soil preparation. In our vegetable garden plans we sub divide this area to the allium side and the cucurbit side, and you could do the same with any group, and in principle have as little as three areas. The idea behind creating a garden with groups is so you can rotate each growing season, swapping your vegetables around so that year on year they grow in a different part of your vegetable garden. This helps to balance soil nutrition and control pests and diseases. You’ll find some more ideas on crop rotation here. Drawing a sketch of your garden will be the first step in creating your vegetable garden plans, and will help you to divide up space to equal size groups. We do this with our vegetable beds by drawing simple rectangle shapes, as we tend to grow in level beds. To do this accurately, so that you can better estimate your crops, it is better to pace out your garden, taking some measurements, and then use graph paper to draw your garden plan out. Another option would be to use vegetable garden planning software, they are inexpensive, easy to use, and a good package will work out your plant spaces for you, total up each vegetable, and give you a printable planning sheet with sowing, planting and harvesting times. We use the GrowVeg Planner, you’ll find our review here. Raised beds are a good idea as you never have to walk on the soil, and container gardening is becoming more popular. 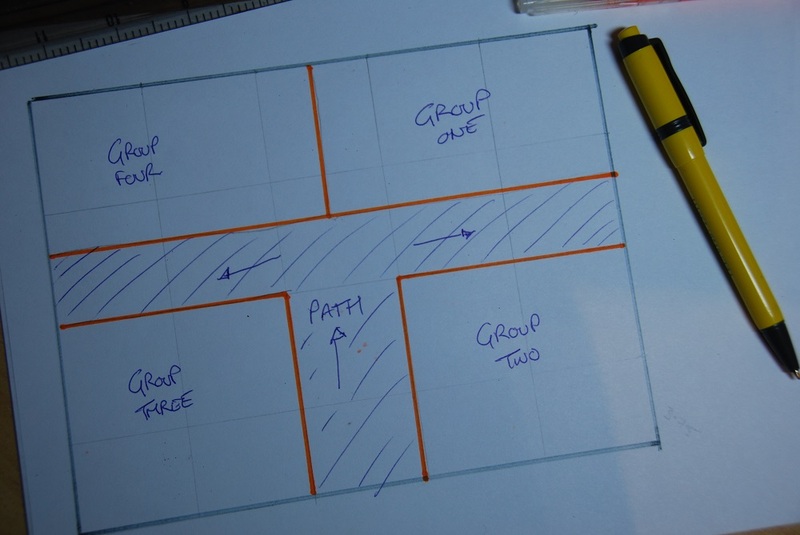 If you have a larger garden then you may be able to draw up your vegetable garden plans to include the five groups plus a group for everything else that does not fit into the standard groups. 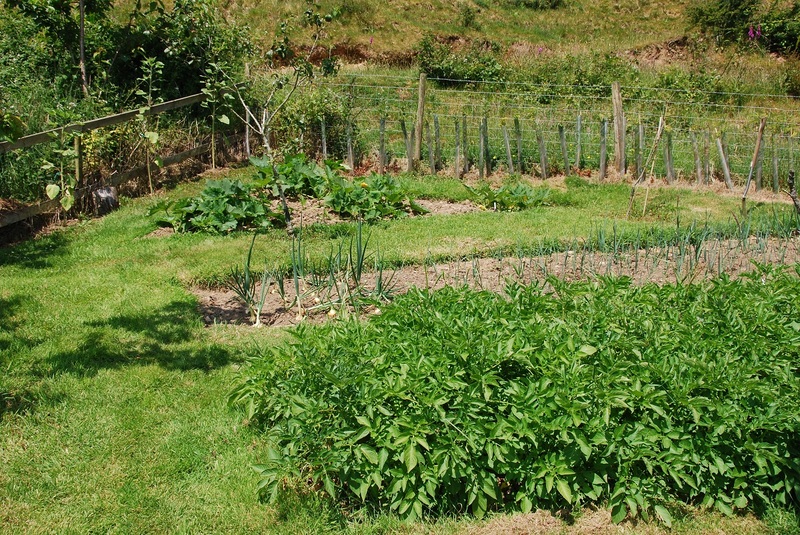 Submitting pictures of your vegetable garden plot is free and easy to do. Just fill in the form below, upload your pictures, and hit the submit button. When your submission is accepted, your photos will become a “live” page on this site. You may upload as many pictures as you want, using a new submission page for each one. You can also make a slide show at slide.com. Following their directions, put the embed code in the “tell us about your plot” area below. There’s no need to upload pictures if you use a slide show. Tell us about it. How long has it taken to get your plot looking like this? What went wrong? What went well? Or any tips that have helped you out. Copyright Vegetable Garden Plot - 2015 - . All rights reserved.